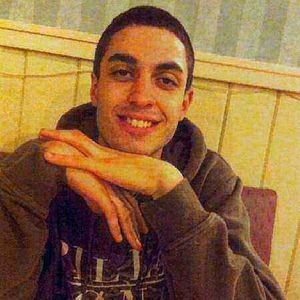 Tyler Dennis Megin, "Johnny" age 21 of Henryville, PA, formally of Landing, NJ went to heaven on May 1, 2012. Tyler is a graduate of Poconos Mountain High School, PA and Motorcycle Institute of America, FL. He was a self-employed motorcycle technician. He is survived by his mother, Sandra Megin, father Todd Megin, Sr., siblings Todd Megin, Jr., and Toni Megin, maternal grandparents, Thomas and Elizabeth Meyer, paternal grandfather, Jim Megin. He is predeceased by his paternal grandmother, Arlene Megin. Tyler is also survived by many aunts, uncles and cousins. Funeral arrangements will be held at Oakland Memorial Home 330 Ramapo Valley Road Oakland, NJ on Sunday May 6, 2012 from 2-6 pm. Funeral Service Monday May 7, 2012 10 AM at the Funeral Home. Burial George Washington Memorial Park, Paramus. In lieu of flowers, send donations to ASPCA, 520 8th Avenue, 7th Floor, New York, NY 10018. John and I want to extend our deepest sympathies to all of you. You are in our thoughts and prayers.